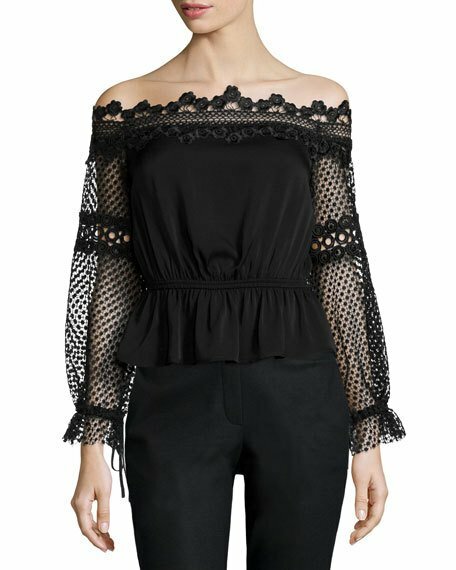 This gorgeous Self Portrait top retailed for $340 but is sold out online. 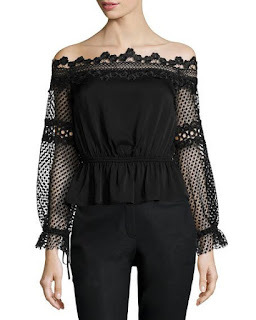 I found two options as look 4 less alternatives, this one below from Shopbop which retails for $79 and comes in black or white (click image below to purchase). For even less you can click HERE to purchase from SheInside which has a great option for $19.